The website has not only been graphically redesigned to suit Intermac's image. The new intermac.com website is a powerful platform which expands business opportunities using a modern, flexible interface where content plays a leading role in a personalised strategy for each market. The new Intermac website, currently available in Italian and English (with plans to extend it to other markets after the official launch), combines improvements and redesign as summarised below. First of all, there is a stronger vertical perspective. The new Intermac website offers different content to customers looking for specific information and products for glass, stone and metal. 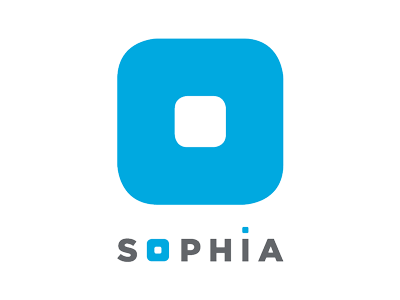 Users can find content for each material which can meet their needs and simplify their searches. Not only responsive design: redesigning the Intermac website has meant using the smallest and most widely used device, the smartphone, to guarantee clarity, readability and a faultless user experience and maximise the potential of every mobile phone. 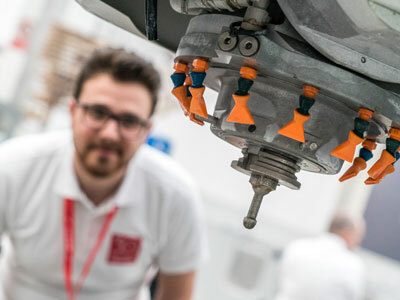 Focusing on machines and technologies from when it was first created, the Intermac site emphasises its innovative nature by concentrating on how its products are presented. The product cards are much clearer with more space for images so that customers can discover their characteristics through readable text and multimedia content. The new product sheets also favour contact - booking a demo in our showrooms around the world is an example - which is an effective way of integrating the online and offline experience. By completely and thoroughly revising the intermac.com user experience, we have been able to generate more leads by creating contact forms and strategic calls to action, the result of data analysis to improve positioning and provide customers with maximum ease of contact. It has taken over a year of research to create a modern platform which can meet our customers' needs as well as reaffirm Intermac's long-standing passion for innovation in all fields. By promoting its presence worldwide, presenting the trade fairs that Intermac will be participating and getting customers to live the company experience in its internal events, the new Trade fairs & Events section is a way to discover and reach Intermac throughout the world through large international trade fairs and thematic-based events. 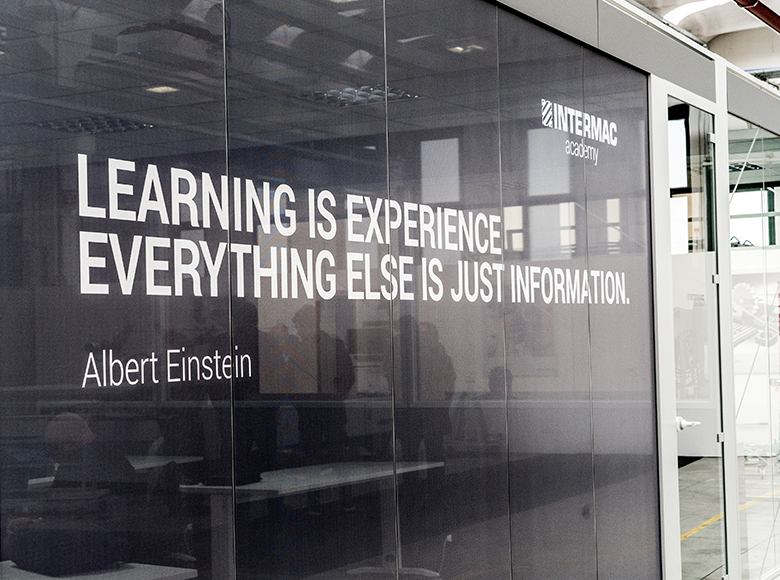 Intermac customers will not only be able to find information and updates before an event begins but also while it is in progress thanks to integration with news and social networks. The interactive calendar means that customers will never miss an appointment with innovation again. The dynamic and aptly named magazine, #IntermacNow, has been completely made over. This is not only the latest in an endless line of hashtags, it is the title of a completely personalised section, the only one of its kind in the industry, which is uniquely integrated with the social content from the official channels of Intermac which is actively present on Facebook, Twitter, Instagram and YouTube. The more “traditional” articles, which feature a modern layout and innovative hypertext solutions, appear alongside multimedia content (including content created by users) which accompany site visitors as they browse through the pages devoted to trade fairs and events where they can live the Intermac experience online in real time. 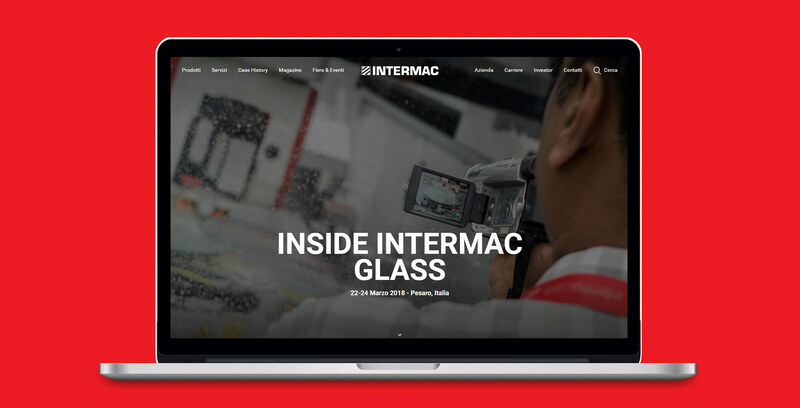 Come and discover the new intermac.com at our events Inside Intermac Stone (15 - 17 March) and Inside Intermac Glass (22 - 24 March) at our Headquarters in Pesaro. To mark the occasion, share your experience with the hashtag #IntermacNow.